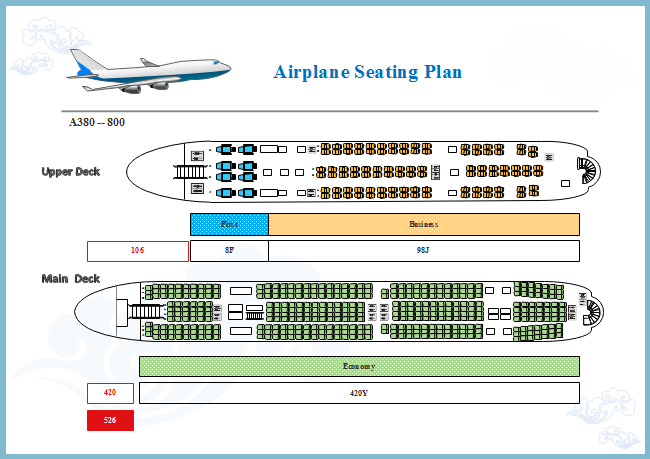 Description: Free download this customizable airplane seating plan template provided by Edraw Seating Plan Maker. Simply modify the seat number and position to create your own airplane seating plan. This will save you tons of valuable time to draw the shapes and outlines of the plane while creating an airplane seating plan.